Peljesac peninsula is the second largest peninsula in Croatia (after Istria), and it's one of my favorite parts of Croatia (again, after Istria). 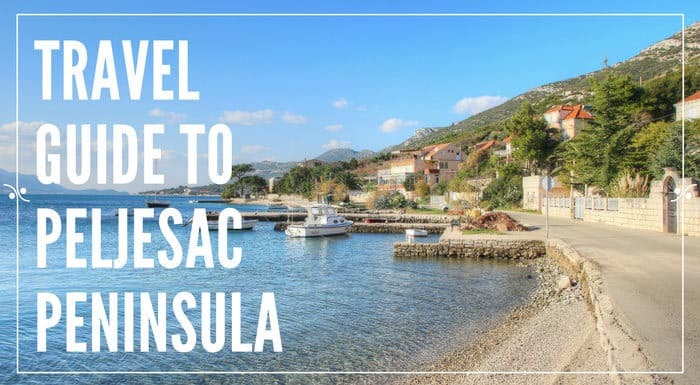 Peljesac peninsula is famed for its rugged coast, pebble beaches, salt pans, fortification walls, sleepy villages, red wine – Plavac mali, and delicious oysters and other seafood. Located in the southern Croatia, Peljesac peninsula is 70 km long. Its furthest points are the Cape Vratnik near Ston to southeast and the cape Lovisce to northwest. Peljesac is connected to the mainland near Ston with a narrow strip of land, barely 1.5 km wide. Sv. Ilija (St. Elijah) is the highest peak on the peninsula, and it's 961 m high. We've already wrote a full post on three reasons to visit Peljesac (you can read it right now!). Or stay here for a short overview. With a lenght of 5.5 km, Ston walls are the longest fortification in Europe. 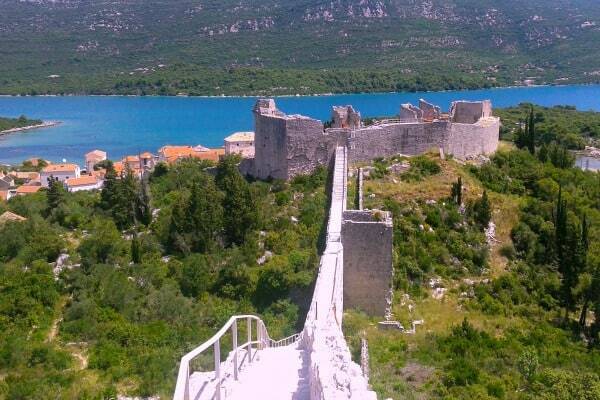 Built in 14th century by Dubrovnik Republic, their main putpose was to protect salt plains of Ston. They consists of three forts, forty-one towers, seven bastions, four pre-walls and a water-filled moat. In the last few years, nonprofit association called Society of Friends of Dubrovnik Antiques, renovated almost entire walls, and they are accessible to public. The admission fee is 40 kn for adults, and 20 kn per child (up to 18 years of age). The same society renovated other historical sights in Dubrovnik and its surroundings. We've visited Sokol Grad, a historical sight south of Dubrovnik, and you can read all about it here. Salt has been produced here since middle ages. Back then, the value of salt equaled the value of gold. Salt is still produced in Ston using traditional methods. Everything here is done manually. The best time to visit salt pans is during the harvest, from July to September. You can even join in gathering; in exchange for lodging and food. Find more info here. We simply love beaches on Peljesac peninsula. From sandy beaches of Prapratno and Zuljana, to wonderful pebble beaches of Divna and Duba on the northern shores, and lovely beaches in Podobuce, Orebic and Viganj. Less than 10.000 people live on the peninsula; half of them in peninsula's largest settlements of Orebic and Ston, Can you imagine how small, and peaceful are the other villages?! Right, Peljesac isn't overcrowded; not even in a high season. It lacks large hotels (with exception of Orebic), majority of tourists staying at private apartments and campsites. This means that you can fond your private little spot anywhere you go. Peljesac is famed for its red wine – Plavac mali. Wine is awesome, no doubt about that. But the dramatic landscape of Peljesac winegrowing regions – Dingac and Postup, is reason enough to visit the peninsula. Check the photo for a taste of this beauty! We've visited some of wineries on the peninsula like Saints Hills Winery, and Miloš Winery. Yummy oysters, and other shellfish, are grown in the bay of Mali Ston. The most popular restaurants where you can taste the shellfish from Ston are Villa Koruna, Bota Sare, and Kapetanova kuca. All three can be found at Mali Ston's seafront promenade. Besides, these prominent three, we love dining at a small family-run restaurant Ficovic in Hodilje. You can also book a boat tour that takes you directly to shellfish farm where you can taste oysters right from the sea. Windsurfers around the world perhaps already know that when it comes to windsurfing in Croatia, Viganj, on Peljesac peninsula, is the place to be. Small fishing village during the summer turns into a main windsurfers' beach spot in Croatia. Best time to visit the peninsula is from June through September. We've already mentioned that the peninsula is little populated, and lacks large hotels. Thus, it gets pretty deserted at other times of the year. Accommodation on Peljesac comprise of private apartments and rooms, campsites, and hotels. Majority of hotels are located in Orebic. Prices depend on a type of accommodation (hotels being more expensive than the rest), location (the closer to the sea you stay, the more you'll pay), and a season (July and August being the most expensive). In June and September, expect to pay 50€ a day for a 4-person apartment, while the same apartment in July and August goes for 70-80€. A room for two with a breakfast and dinner in a 4-star hotel will set you back 75€ in April, 115€ in June, or 160€ in August. Campsites vary in a quality level, and location. Expect to pay around 7€ per day per person, an additional 7€ per trailer or tent per day, an extra 4€ should you wish to have an electricity (I believe you should!). Transport: Although Peljesac is connected to the mainland with a narrow strip of land, in many regards it feels like an island. One of those things is a year round ferry connection between Ploce on the mainland, and Trpanj on the peninsula. In the off-season, ferry departs four times a day each way, while from June through September, it departs every 2h1/2. The crossing takes one hour. Ticket costs 27 kn per person and 115 Kn per car (Oct. through May), or 32 per person and 138 Kn per car (June through Sept.). More info on Jadrolinija's website. The other way to reach the peninsula is by the main coastal road. Peljesac joins the mainland near Ston, 45 km northwest of Dubrovnik, and 185 km southeast of Split. From Split you can either take a coastal road E65, or take a highway A1 from Split to Ploce (50 kn toll; 80 km) and then take a coastal road E65 from Ploce to Dubrovnik (100 km). Bear in mind that if you are coming from direction Split to Ston, you'll have to pass through Bosnia & Herzegovina in Neum (this is a short 5 km area where Bosnia joins the Adriatic sea, and cuts Croatian territory in two). However, this area is considered a transit area. Thus you don't need any additional insurance. Roads on the peninsula are narrow, and windy. They require caution at all the time. Traffic isn't dense, and landscapes are beautiful, so driving slow should actually gives you lots of pleasure. The main, transverse road connects Ston with Orebic, and Ston to Trpanj. Public buses exist, but they are infrequent. There is a daily bus from Dubrovnik to Orebic, and vice verse. It leaves Dubrovnik daily at 3.00 pm and at 6.00 pm (except on Sunday). The bus from Orebic departs daily at 9.45 am and at 6.40 pm. Buses from Dubrovnik to Ston leaves four times a day, except on Sunday and public holidays. More info at Libertas' website. There are also direct bus lines from Zagreb to Korcula Island that pass through Peljesac peninsula. The trip takes 10 hours and one-way ticket costs 250 Kn. For more info check Autotrans website. Food: The Peljesac peninsula is popular for shellfish, particularly oysters. Other typical dishes include sporki makaruli (pasta dish with beef or veal sauce), butarga (dried fish eggs), torta od makarula (cake made with macaroni pasta), zelena manestra (a stew made of dried lamb meat, and kale), arancini (sugar coated orange peels), and rozata (a custard pudding). In the majority of restaurants you'll find a typical menu with pizza, pasta, risotto, grilled meat and fish. A light lunch goes for 40-60 Kn, steaks goes for 15-20€, while fish is sold by weight, and it goes for 250-400 Kn. 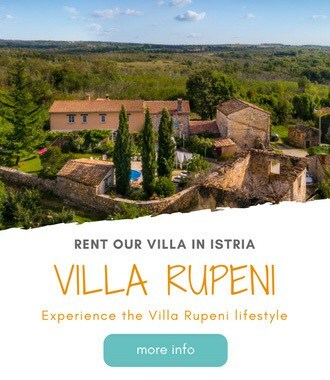 Popular restaurants, Kapetanova Kuca, Bota Sare, and Villa Koruna you'll find in Mali Ston, a tiny village on the northern shores of the peninsula, all famed for seafood, particularly oysters and mussels. For seafood we also like Ficovic, a small family-run restaurant in a village of Hodilje. Excellent rural taverns are Antunovic in Kuna (by appointement only), and Panorama above Orebic. Interesting gastronomic offer you can also find in Kobas Bay, an off-the-beaten-path bay popular among boat owners. Beaches: As we've already mentioned, beaches along Peljesac peninsula are great. Throughout the peninsula you'll find wonderful pebble and sandy beaches. On the norteast shores the most popular pebble beaches are Divna and Duba, while Creser offers sandy beach. On the south side of the island, you'll find sandy beaches of Prapratno and Zuljana, while popular pebble beaches are around Orebic. Things to do: While Peljesac peninsula is less touristy compared to some other coastal areas, you'll still find plenty things to do here. Between windsurfing in Viganj, walking historical walls of Ston, a visit to wineries, and beach hopping you'll have a little time to get bored. 1 | Ston is the closest village to the mainland, famous for its fortification walls, salt pans, and yummy oysters, it's the most visited place on the peninsula. 2 | Orebic is the largest settlement and the most touristy place on the peninsula. Orebic is also a gateway to Korcula, the two being apart with less than 4 km wide channel. Orebic was historicaly a home to many ship captains and other seafarer, whose beautiful houses still witness those times. You can also visit a small maritime museum in Orebic and visit a Captains' cemetry. 3 | Viganj is a small village, few kilometers north of Orebic, popular among windsurfers. Viganj is simply put windsurfing paradise. 4 | Loviste is a small village at the far northwest part of the peninsula. Loviste attracts those in search of a relaxing time by the sea. There are lots of small coves and beautiful pebble beaches in the vicinity. 5 | Trpanj is a a small village located at the north shores of the peninsula facing the mainland. It's a popular tourist spot on the peninsula and a ferry port, connecting the peninsula with Ploce on the mainland. In the vicinity of Trpanj, there is a bay with a healing mud. Other interesting places on the peninsula include Trstenik, Borak, Zuljana, Drace, and Potomje. What's your take on Peljesac peninsula? Have you visited it, would you like to visit it? Let us know in the comments below. Dear Frank, thanks a lot for your inspirational website! We are planning vacations this June (starting from mid-June), with kids, and looking for a place that is not too touristy, and we would like to stay next to the beach with either sand or pebble (but not big stones) so that the kids can play near water. Ideally I am looking for a beach that offers some shade and/or that has some park/wood nearby, so that we can walk there with kids during the hottest part of the day. BAsed on your descriptions, sounds like Peljesac peninsula might be a good destination for us. Would you recommend any particular place there? also, do you think there is any risk that in June water will be still too cold for bathing? with many thanks!